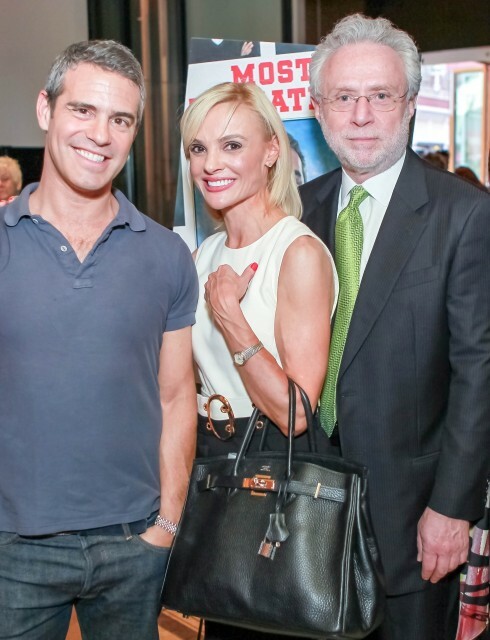 Photo Courtesy of Andrea Rodgers / Pictured: Andy Cohen (left), Rodgers (center), Wolf Biltzer (right). Andrea Rodgers is an inspired and busy woman. After tragedy struck on September 11, 2001, Rodgers became heavily involved in the DC charity circuit in order to give back to her community as best as she could. She joined the Junior League of Washington in 2003 and came in 2nd in the Leukemia & Lymphoma Society’s Man & Woman of the Year fundraising competition in 2004 — and those are just a couple of items that have kept her busy the past few years. When she’s not lending a hand on a host committee or at a gala, Rodgers serves on several alumni groups near and dear to her heart as well as acting as President and CEO of a non-profit, Courage for Kids. Somewhere in between all of her activities, she still finds the time to act as the Publisher and Editor-in-Chief of her blog Miss A, which covers a variety of topics referencing charity and style in 21 major U.S. cities. The relationships that I have made over the past 15 years in the DC area are what make DC feel like home to me. Having grown up in a small town in North Carolina, I love the small town feel of Washington — running into people I know unexpectedly, discovering that my acquaintances know each other and no skyscrapers. I enjoy all the green spaces we have in Washington and how quick and easy it is to get to a great park for a walk or run, to hike along the Potomac on the Billy Goat Trail, or to book a tennis court at Haines Point or Rock Creek. I love seeing the beautiful Potomac and the opportunity to go boating with friends. It’s no surprise that it helps make our fair city one of the healthiest in the country! I was born in the Netherlands – my mother is Dutch and my father is American ­– so I traveled often to Europe growing up. This being my background, I love the international aspect and sophistication of Washington. We have people here from every country in the world. Walking around the city I enjoy overhearing someone speaking a foreign language. If it’s Dutch, I always surprise the foreign traveler by starting a conversation in my native language. We are blessed with so much in terms of art and culture in DC through the Kennedy Center, the Smithsonian and other theaters and museums. As someone who double-majored in Economics and Politics at Wake Forest University, I love being so close to all the political action. My perfect day would start with catching up on the news and publishing articles for Miss A. I have copy editors, but still review and publish all our articles myself. This keeps me well-informed about charity and style and connected to the 30 editors and 300 writers we have on board. I would then go to either CentroNia or Bright Beginnings and read to the children there.These two organizations are partnered with my own nonprofit, Courage for Kids. The kids are so cute and sweet. I always come away from volunteering feeling inspired. A girl’s gotta work, so I would have some Miss A Marketing meetings with clients and partners such as Washington Institute of Dermatologic Laser Surgery or Bitar Cosmetic Surgery Institute. I enjoy being creative and helping clients with their social media strategy, website improvements, branding and creating integrated marketing plans for my clients – especially tying in cause marketing. After my meetings, I would go to Sports Club/LA to lift some weights and follow it up with a yoga class given by either Will Stewart or Emeka Olumba. I really enjoy my time at the gym. It burns off stress, gives me energy, and centers me. I believe a strong body creates a strong mind and spirit. I’d skip the treadmill and opt to get my cardio at playing tennis with a friend at East Potomac Tennis Center. If this is going to be my perfect day, then I need to throw in some pampering. I don’t do this as often as I would like, but on this day I’d take 395 from Hains Point to Old Town Alexandria and treat myself to a massage and mani-pedi at Sugar House Day Spa & Salon and get my hair done there with Nigisti Hailu who has been doing my hair for over a decade. I’d go back into DC to George Salon at the Four Season for make up with my friend, Carl Ray, who is First Lady Michelle Obama’s official makeup artist. 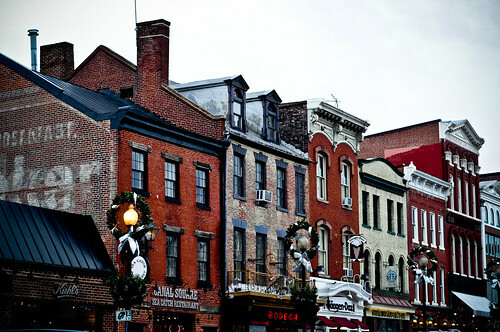 I’d do some shopping in Georgetown or Chevy Chase, and then meet a date for dinner at Café Milano and end the night meeting friends at The Graham. I am a social media addict so I’d be on Facebook, Instagram, Pinterest, Twitter and Vine throughout the day engaging with my friends across the country in the 21 markets Miss A covers. My favorite gem of a location would be Sports Club/LA downtown at the Ritz-Carlton. It’s not hidden, but it is definitely a gem. I am in my element there. It’s my sanctuary. It’s such a nice escape – great spacious facility, amazing yoga and pilates instructors, and friendly staff. I would live there if I could. I would have to say Katherine Graham, former publisher of The Washington Post. Though she is no longer living, she left such an amazing legacy. I have much admiration for her courage in stepping up to take over leadership of the Post from her husband (and her father prior to that). She grew up in the newspaper business and learned so much from her father and later her husband. She was a leader in American journalism and really paved the way for women in the media. She grew the Washington Post to be the premier newspaper that it is today, and her accomplishments during those two decades were remarkable, including the game-changing coverage of Watergate. Not only did she have an iconic career, but she also led such a fascinating life. She was surrounded by the most interesting and historically important people of her time – Warren Buffett, the Kennedys, the Johnsons, the Reagans. She was the guest of honor at Truman Capote’s exclusive Black and White Ball at the Plaza Hotel in New York which was one of the most famous parties of the 1960s. She was a true lady with the ultimate grace and style. How would you describe the DC philanthropic community and what do you think inspires individuals in DC to give back? I think the DC philanthropic community is very strong and active. DC is filled with Type-A Overachievers. I’m one myself. We like to be well-rounded and stay active in all ways. Giving back is personal. It’s a gift, so everyone has their own reason or reasons for giving back and they have their own causes which are near and dear to them. With so many options available, there are many ways to volunteer or fund raise for wherever your passion lies – the arts, children, elderly, health, or poverty. I started out volunteering with DC Cares right after 9/11 and it is a great way to explore all the wonderful nonprofits we have in town. I visited with the elderly at Washington Home & Hospice, took inner city kids on hikes and to museums on the National Mall with Sierra Club’s Inner City Outings, worked a silent auction for MS Society, etc. Another way to get involved is by joining the Junior League of Washington, which I also did. You can volunteer in the community with wonderful nonprofits like Bright Beginnings, or you can volunteer internally with them and gain skills like PR and event planning. There are endless ways to volunteer your skills, or even athleticism – triathalon with Leukemia & Lymphoma Society’s Team in Training or numerous walks and runs held in town like the Nike Women’s Half Marathon or walking for Susan G. Komen. Volunteering has taught me so much over the years, and connected me with so many wonderful friends, businesses, nonprofits and brands. It’s this passion that lead me to have Miss A focus on the intersection of charity and style (short for lifestyle – not just fashion). 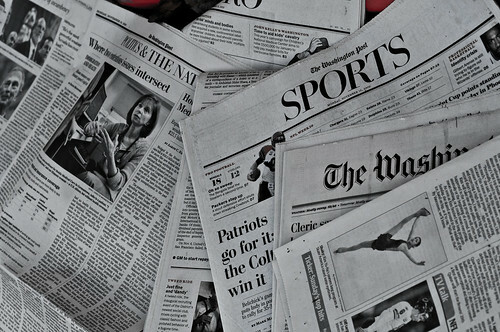 Our coverage started in DC, but we now cover 21 markets in addition to topical content that would be of interest to folks in any of our cities. In 2008, we had 28,000 unique readers, and in five short years we expect to have 1.5 million. We have dozens of editors and hundreds of writers across the country, and even some overseas. The connections with nonprofits, people, businesses and brands are what I enjoy most. We’re really focused on utilizing social media – Pinterest, Twitter, Instagram, Facebook, Vine. I had read Joseph Campbell’s wise words about following your bliss, but never discovered what mine was until I was in my 30s with charity and social media.